Well, dear reader, I was wrong. 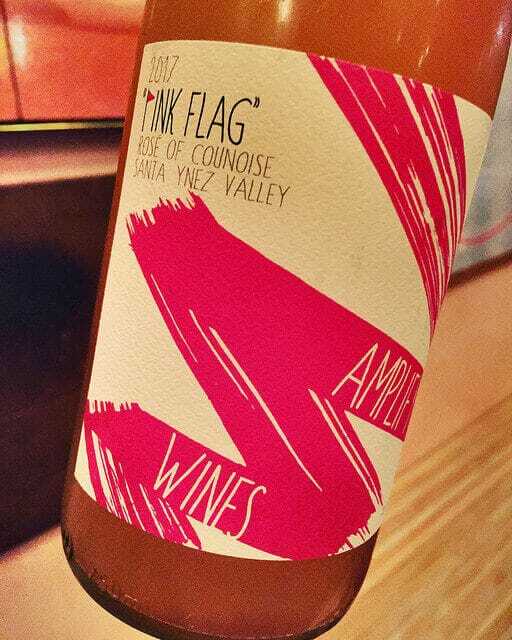 File this pink wine from Amplify Wines under the category/mantra of NO BORING ROSÉ. 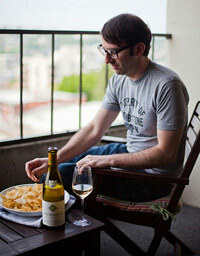 It had a lot of texture and flavor instead of just being watery, shrill, and non-descript. I added a squirt of hot sauce to the buttermilk ranch dipping sauce and have to say the Pink Flag handled the heat, crunch, and dairy combo with aplomb. This is a fantastic, versatile rosé with depth and a little heft. Don’t get me wrong, it is still refreshment central. Perhaps I’d call it a winter-weight rosé? It offers your palate more of an embrace/warm hug rather than an acidic liquid laser. Let me provide another (endless) reminder to drink rosé year-round and, since it’s the season, alert you to it’s mega-awesomeness with Thanksgiving dinner. Especially if your meal is the traditional 50 Shades of Beige. Nothing like some pink color on the table for a lively, festive contrast. Thank you Jameson! We age roughly half of the wine under flor, while the other half is topped up. It completes ML, and isn’t fined or filtered. All of the above are intended to bring it to the savory side of the spectrum, so it can pair with more umami-heavy foods. We’re so glad to hear you enjoyed it! Flor is a surface yeast key to (a lot of) sherry production. ML=malolactic fermentation and basically turns crazy laser acids more chill. Tried this wine on recommendation and it’s such a mind-blower. The visual appearance alone is enough to raise eyebrows, but the taste is phenomenal. Spot-on suggesting this for Thanksgiving. Thanks Rob, great to share it with you. And chicken tenders, of course.